BRIGHTON, Mich. - The University of Michigan has set a driverless car goal for Ann Arbor: By 2021 Ann Arbor will be the first American city with a shared fleet of networked, driverless vehicles. This goal will be made possible through a collaboration of U of M's Mobility Transformation Center and our country's government. Automobile companies have been testing driverless vehicles for awhile - Ford is no exception. Having used self-driving technology, the motor company has recently created a vehicle that will park itself without its driver even being in the vehicle. 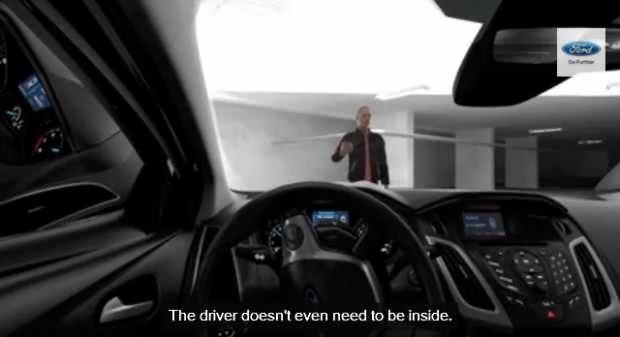 Similarly, Ford has also developed an obstacle avoidance technology that allows the vehicle to control its own steering wheel and steer safely out of the way of any pedestrians. As Ford works to further develop this technology to create a vehicle that can drive itself completely, the world waits on the edge of its seat for the driverless car to be made available to the public. Ann Arbor is part of this anticipating crowd, as the University of Michigan has set a driverless car goal for Ann Arbor. Giving automobile companies until 2021, the Transportation Research Institute at the University of Michigan has set these goals so that they can.. "demonstrate fully driverless vehicles operating within the whole infrastructure of the city within an eight-year timeline and to show that these can be safe, effective and commercially successful." Recently, the university approved a $6.5 million, 30-acre driverless car test site that will allow driverless cars to be tested in a copycat cityscape. Hopefully, with the technology available and companies such as Ford Motor Company working hard to perfect the driverless car, Ann Arbor will reach its driverless car goal well before the set year. While the driverless car technology is having the kinks worked out, there is still a variety of Ford vehicles that come with safety technology designed to assist you while driving. To discuss all the various technology options available to you, stop by our dealership! We are proud to be a Lansing Area Ford Dealer with a great selection of Ford Cars For Sale, as well as Used Fords For Sale. So come by today and let us get you into a vehicle you'll feel secure in!